The Los Angeles Police Protective League announced July 11 that the proposed contract reached between union and city leaders had been rejected. The agreement lacked raises, which felt like a “slap in the face” to union members, LAPPL president Tyler Izen told the Police Commission and Beck at a commission meeting attended by hundreds of officers. Beck said he spent all of talking to hundreds of officers throughout the city about the ongoing labor negotiations. The chief had been scheduled to attend a conference in Monterey July 15, but he canceled the trip. “In the early 90s, I saw the organization torn apart by differences of opinion between people who were partners in the same radio cars,” he said. Labor talks “need to continue,” he said, and the two sides need to meet in the middle somehow. Izen said he other union leaders obtained the “best contract offer” they could from the city, but were greeted by a dissatisfied membership. “What we found was a body of officers who did not feel supported or respected by either the department or the city,” he said. 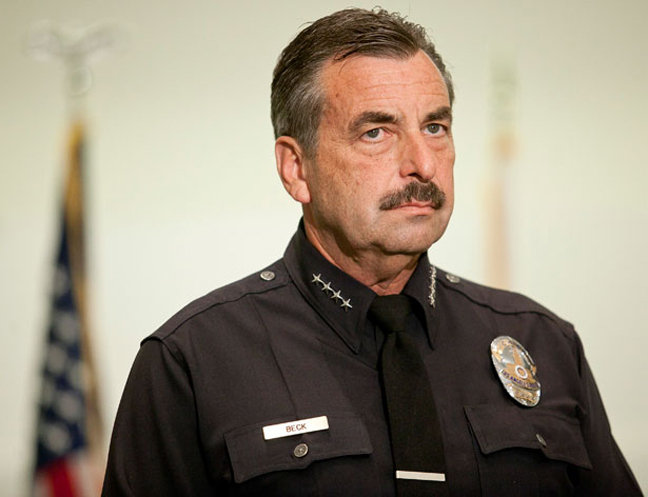 The lack of a raise in the contract especially stung “because there was not even an attempt to bring them (LAPD salaries) up to the pay levels of other Southern California law enforcement agencies whose pay is better than ours,” he said. While the city offered to raise starting pay for new employees, that move does nothing to help current officers with their ability to “pay their bills,” he said. The members also have “no confidence” in a police disciplinary system that is “viewed as inconsistent, unfair and riddled with favoritism,” he said. Union officials also said they never had a chance in the negotiations because Mayor Eric Garcetti had already declared that he would not be giving out raises this year. Garcetti did not immediately respond to the union officials’ statements. Terms of the proposed agreement were not released. However, a source familiar with the labor negotiations said the one-year agreement would not have included cost-of-living increases for most employees, but would raise starting annual salaries by $7,000 — to about $57,000 — beginning in January. The proposed contract would have also increased the amount the city would pay in overtime from an initially budgeted $30 million to $70 million, according to the source. The city would also start paying down overtime that was banked over the past few years, the source said. The tentative contract would have extended a labor pact that expired June 30.